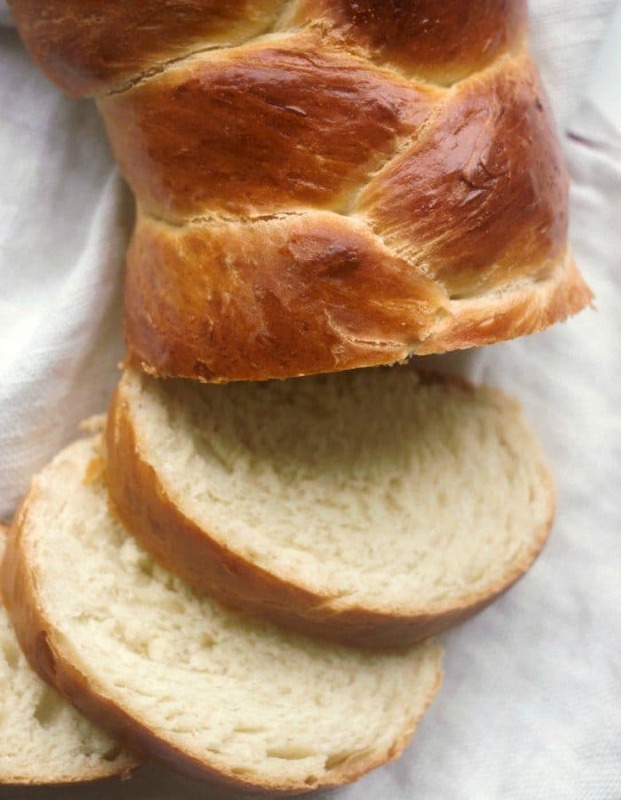 Home » Baking School » Baking Science: What is Yeast? Learn the answer to all of your questions about yeast! What is yeast? How does yeast work in baking? And what are the different kinds of yeast? Yeast is all around us. Its in the air we breath, in the food we eat, on our skin, in our bodies, and in the earth. Yeast is quite literally everywhere. But what exactly is yeast? Yeast are single-celled fungus. Yep, you read that right. Yeast is a fungus and it is alive. There are many different types of yeast in the world and while some of them make us sick and some cause food to spoil, others are put to good use in bread, beer, and wine making. When yeast metabolizes sugar for energy it creates two bi-products: carbon dioxide and alcohol. The carbon dioxide is useful in baking for leavening (making baked goods rise) while the alcohol adds flavor to baked goods and is useful in beer brewing and wine making. Yeast that is used for baking is in three forms: natural yeast, fresh yeast, and dry yeast. A natural yeast starter (also known as a wild yeast starter) is a cultivated form of yeast. 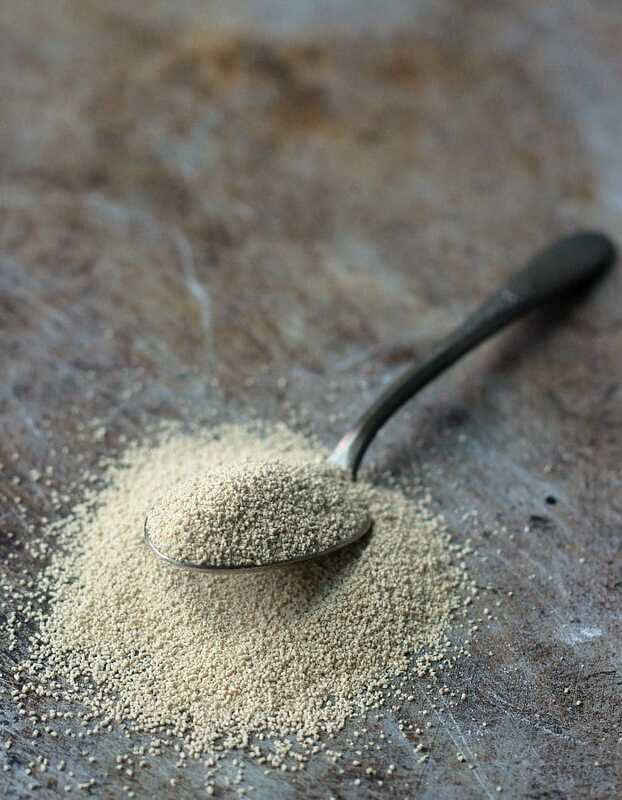 Grain, typically wheat flour or rye flour, is mixed with water and left out to naturally ferment and cultivate a thriving community of natural yeasts. This is used to create naturally leavened bread. Fresh yeast is a commercial product that is a moist cake form of yeast cells that are in an active state (as opposed to a dormant state as dry yeast cells are). The product must be refrigerated and is highly perishable. Dry yeast are yeast cells that have been dried out to put them in a dormant state. Because the yeast cells are not active, they do not need to be refrigerated and they can be stored at room temperature for months. Dry yeast is sold in two main forms: active dry yeast and rapid rise (or instant rise) yeast. Rapid rise yeast is a smaller cell yeast that activates and produces carbon dioxide more quickly than active dry yeast. How Does Yeast Work in Baking? Yeast needs 3 things to thrive: moisture, food (sugar), and warm temperatures. When yeast is hydrated and given something to feed on it begins growing. Yeast’s favorite food source is sugar in its various forms. Yeast doesn’t just feed on white sugar, but it can feed on carbohydrates in any form. When yeast is hydrated and given some food it begins metabolizing the sugar producing carbon dioxide and alcohol. In baking, the carbon dioxide bubbles are trapped within the structure of the baked good, causing it to rise. Yeast also thrives in warm temperatures. 95F (35C) is the temperature at which yeast most actively grows. Temperatures cooler than this will cause the yeast growth to slow down, and yeast cells will start to die at 135F (57F) and higher.